Why waste it visiting store after store trying on suits? We want to provide the best service to you in every way. That’s why our professional clothiers come to you at your place of work, your home or wherever is convenient, to proved you with Savile Row quality suiting. 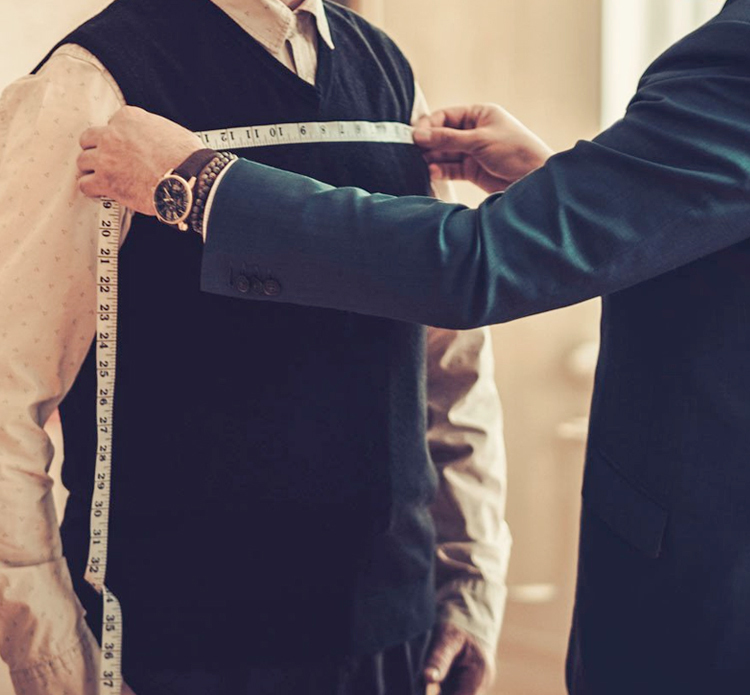 Business suits, casual wear or full wardrobe service – whatever you require is made to measure, cut and sewn by artisans to the highest standard. We will work with your schedule and let you control your level of involvement. That way you’ll still get the same quality of service, but you will be freed up to do more of the things that matter. Get in touch today and book your free London tailor consultation with our expert consultants.